My fiance and I started working with Joe at Rogue Realty in August 2017, after failed luck with another Realtor where we lost house after house after house. We were on the verge of throwing our hands up until we were referred to Joe. Joe is nothing short of PHENOMENAL. We were first time buyers and had NO IDEA what to expect and were extremely nervous. I had read horror stories simply by googling first time buying process but Joe made what we felt was impossible POSSIBLE. Joe is personable, knowledgeable in SO MANY AREAS, not just Real Estate. Joe was always professional, the communication and open door demeanor helped put us at ease, not to mention the amount of patience he had with us the entire time after looking at several houses. We saw the house of our dreams after looking at multiple and put in an offer. Now I must admit, we didn't want to get our hopes up due to the failed attempts with our first Realtor. However, when we walked away from the house it just felt different and even though we had NO IDEA of the outcome something just felt different and we were more at ease for some reason. Joe kept us well informed and stayed on the Sellers Realtor to ensure we got what we wanted and sure enough, our offer was accepted and it just came full circle. It was meant for us to loose all those other house in order to get to Joe and get the house we wanted the absolute most. Even though Joe works with many people, he has a unique way of making you feel like your the only one he's working with. Despite his hectic schedule, Joe made time for us, it felt like he worked 24hrs a day even though he didnt, thats how far Joe extended himself to us. 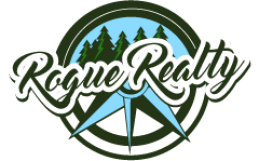 The amount of effort and time Joe put in to ensure we got the right home to meet our needs by far exceeded our expectations and we're eternally grateful and have already recommended Joe at Rogue Realty to others and will continue to spread the word. We closed on our home with no delays or unexpected surprises at the end of September, 2017, and til this day, we still call Joe if we have ANY questions pertaining to papers we receive in the mail or any other questions we have even down to in home repairs. Joe is a jack of all trades, he knows the ins and outs of the business and has built ALOT of the homes foundations putting him in a league all by himself. Whether your a first time buyer, or not, Joe at Rogue is your place. And GOD SENT.